On this episode of Boiler Room the ACR Brain-Trust is further analyzing aspects of the Las Vegas Mandalay Bay mass shooting event with Shawn Helton joining to share his latest discovery with this exclusive 21Wire/ACR report. Shawn uncovers connections between the Phoenix charity foundation co-founded by Kymberley Suchomel, a survivor of the Las Vegas shooting, and the well known DHS related Geo Group. Kymberley Suchomel is reported to ... See More have died suddenly on October 9th, of apparent known health conditions. "The reason why the Geo Group link is so significant, is that prior to modern America’s largest mass shooting in Las Vegas, an apparent survivor of the incident was operating a foundation that was accepting financial support from a large-scale company formerly known as The Wackenhut Corporation, a subsidiary of G4S Secure Solutions, one of the world’s largest security firms, and a Department of Homeland Security connected conglomerate tied to the suspicious Orlando shooting in the summer of 2016 – an event, that was previously the country’s largest mass shooting." 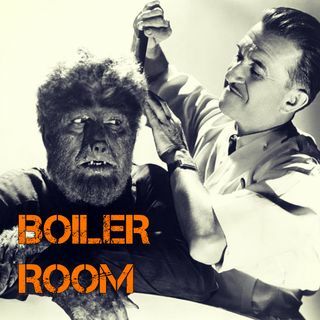 Join ACR hosts Hesher and Spore along side Jay Dyer of Jays Analysis, Shawn Helton (of 21st Century Wire) Andy Nowicki (The Nameless One) & Randy J (ACR & 21Wire Contributor) for the hundred and thirty second episode of BOILER ROOM. Turn it up, tune in and hang with the ACR Brain-Trust for this weeks boil downs and analysis and the usual gnashing of the teeth of the political animals in the social reject club.